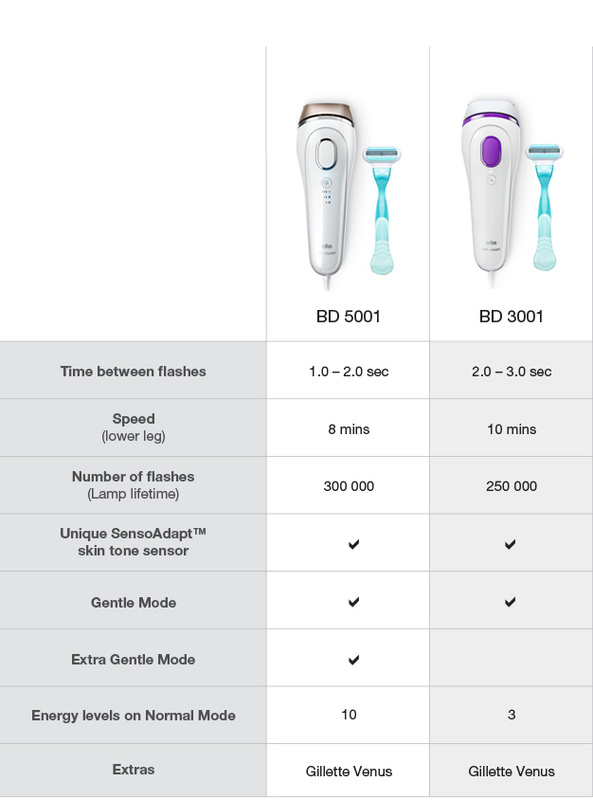 Braun’s Silk-expert IPL is the only IPL device with a SensoAdapt™ skin tone sensor. This sensor continuously reads your skin tone while the device is in use (80x per second), and automatically adapts the light intensity to the best energy setting for your skin. This ensures a safe and effective treatment and removes the need to match your skin tone against complicated colour matching charts other devices require. Silk expert 3 IPL is rated 4.4 out of 5 by 358. Rated 5 out of 5 by Nat9 from Highly recommended!!! This is 3rd week I started using silk expert 3. I can see it’s working! Less hair already. I’m so happy with result. It’s easy to use and I don’t need to go to salon anymore! Does it remove hairs forever? Yes it does but you need to do the procedure on a regular basis. Fantastic results. What are the total number of flashes for one cartridge ?